Smile designing is truly a work of art. 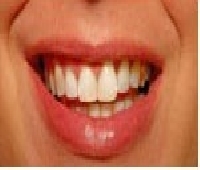 The term smile design applies to the enhancement of a smile using a combination of methods. 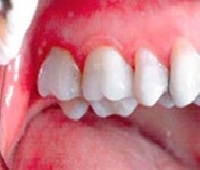 The eyes, lips, gums and face of the individual are considered when a smile is designed. Excellence in aesthetics is the cornerstone of Global Smiles. A sparkling, confident smile gives a wonderful boost to your social and professional life. 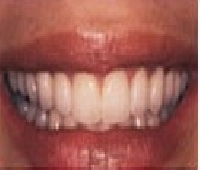 Bonding is used to correct minor flaws in the smile including chipped teeth, minor gaps between teeth etc. 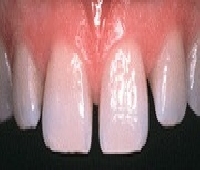 A tooth coloured composite material is used to obtain the desired effect. Our state-of-the-art in office power bleaching system will make your teeth whiter in less than 1 hour. Another option is our home bleaching system which you take home with you for results in 2 weeks. You can also consider a combination program of both systems for optimal, long term results. 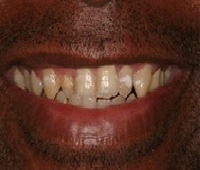 Bleaching is the simplest way to brighten your smile. Your teeth can become 5-6 shades lighter. Depending on your lifestyle, you may need to bleach periodically. 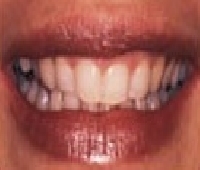 Veneers can modify the shape, colour and contour of the tooth. 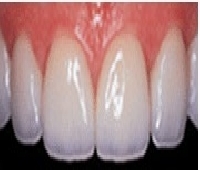 Veneers can be direct or Indirect. 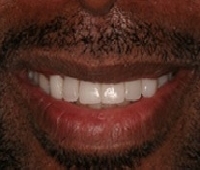 Direct Veneers are done in a single sitting. It is an ultraconservative approach on the part of the dentist, with the help of a tooth coloured composite material. They are lab fabricated, highly polished, thin nail like shells bonded to the teeth. They are made up of ceramic, and are the perfect aid for the beautification of your smile. Porcelain laminates are the answer to - Instant orthodontics to straighten your smile - To close spaces. 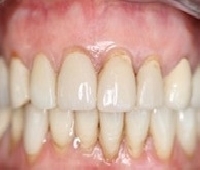 - To whiten yellow, stained or discoloured teeth. 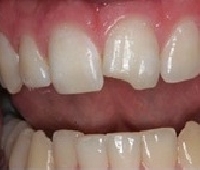 - To align chipped or crooked teeth. 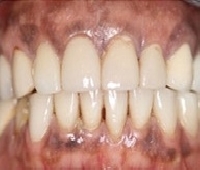 Black and brown pigments are present on the gums. 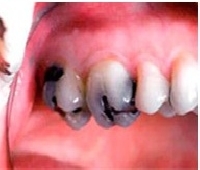 Some have them in deeper concentration, giving the gums a darker appearance. Such pigments are removed to produce natural and pink and aesthetically pleasing gum tissue. 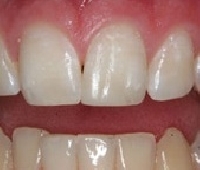 Minor alterations in the size and shape of the teeth are brought about to enhance the existing smile. Teeth jewellery is a brilliant way to add sparkles to your smile and stand out in the crowd. Skyce ( teeth jewellery ) is certified in the E. U. and is fixed on the outer surface of the upper anterior teeth. The procedure is painless and non-invasive with no drilling involved. This trend is popular with all ages and the jewellery can be easily removed and fixed again at a later date.